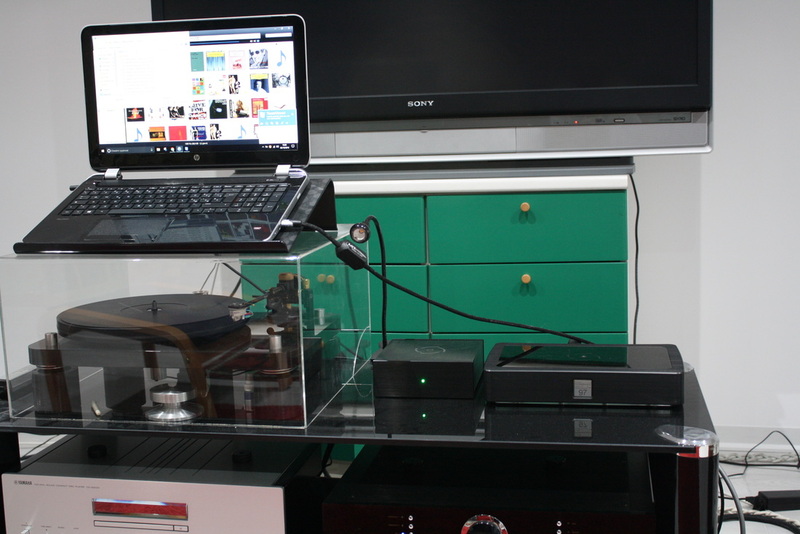 ​Here we are again, while going to a lot of live concerts, to tell you about audio stuff. It 's funny how the music and its good reproduction, sometimes seem to go thru separate ways. People often say that music lovers are not interested in live music, so that it seems to become an urban legend. But no, unfortunately it's not a legend. We, as audio-activity.com, have offered ridiculous-priced tickets for the concerts of some affiliated Associations, but our readers response is always lukewarm if not non-existent altogether. Yet, they are very low prices (about 15 USD) for concerts held in the center of a metropolis, in locations easily accessible also by public transportation, if desired. We often ask ourselves about the meaning of half-empty Churches and theaters at major concerts, and we do not understand whether it is the indolence or the plain ignorance to keep audiophiles away from live music. Especially the Classical music, which for many seems to be only a medium to judge the equipment, rather than the enrichment of their own personal culture or even the mere use of a source of emotions impossible to reach by other ways. The last, daunting experiment, is very recent. We had an exceeding accreditation for the Verdi's Messa da Requiem, here in Milan. I have personally placed a post on Facebook, the day of the concert, offering the ticket free of charge, of course, to anyone interested. Guess what? Not even one. Not to mention when we publish reviews of records or concerts, sharing them on Facebook: the "likes" are normally a fraction of those we get for the equipment reviews. Don't believe that there is something wrong, too? ​Now, before you close this window because of electronics abstinence, let's talk about the DAC of the day.Now and then, something new comes, a new brand ... no, wait, there's a mistake. 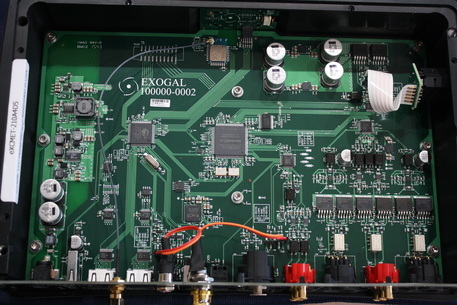 Exogal is not a new brand, since it is on the market since 2013 and was founded by experienced people. Among these guys, we mention Jim Kinne, who designed various devices in the golden years of Wadia, for example. Strange name, Exogal, isn't it? Let's reveal its meaning: Exo (external) and Gal (Galaxy), meaning products beyond our Galaxy. Promising brand. Among the main features of this DAC, designed and manufactured in Minnesota, USA, an open architecture allowing you to listen to the digital music format of choice - local files or streaming. 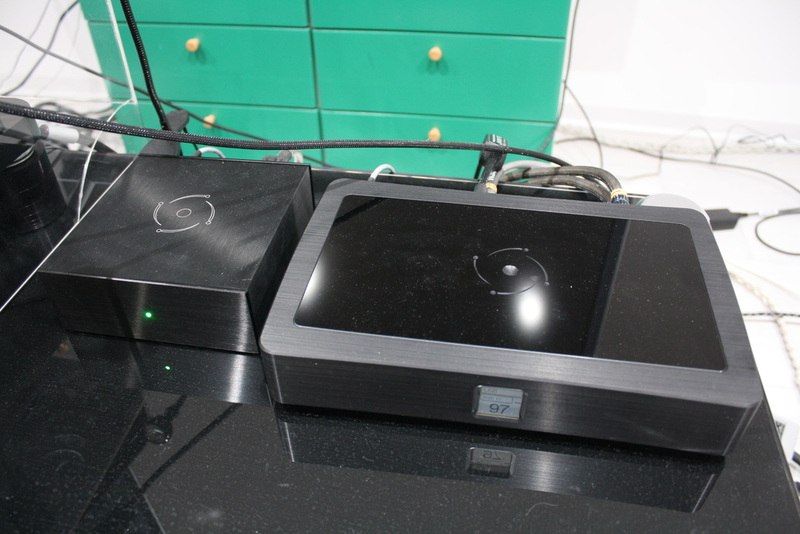 There are two possible combinations: the Comet and Comet Plus, with an improved power supply, in separate chassis, that you can also buy later, if you prefer. Exogal manufactures a small power amplifier too, called Ion, a 100 W per channel into 8 Ohms, housed in a case identical to that of the DAC, which would complete your amplification, since the DAC is equipped with a preamplifier section. 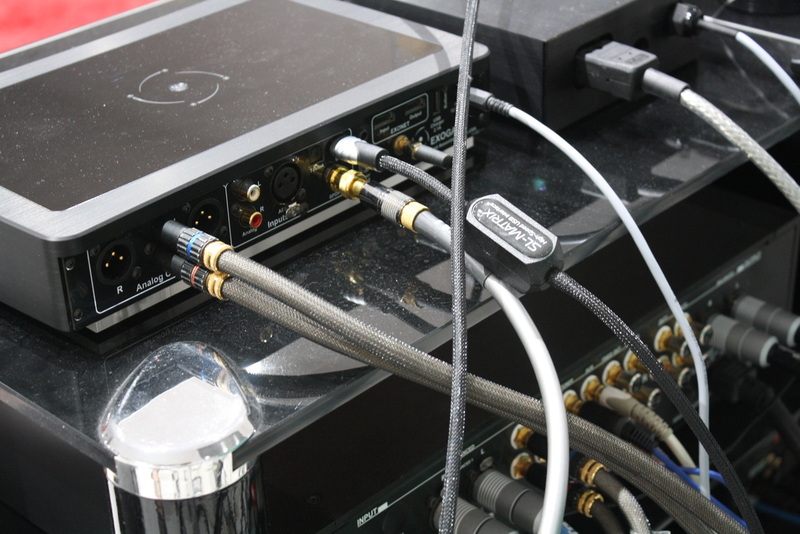 - Asynchronous USB inputs, AES / EBU, SPDIF, Toslink and unbalanced analog. - The unbalanced output can be programmed as stereo or use with subwoofers. 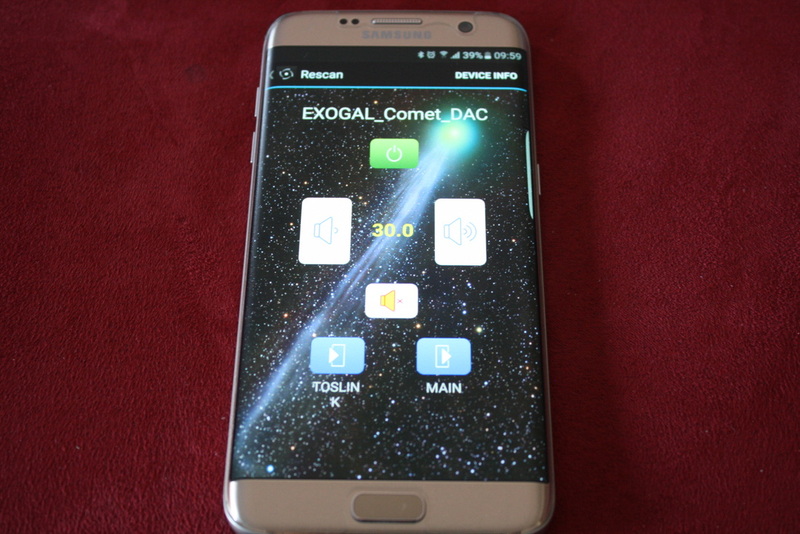 - The DAC can be controlled via the supplied remote control to an application available for iOS and Android. The device is small and light (4.2 kg). The chassis is made up of good quality brushed aluminum and shows, on the front, a tiny, not illuminated display, almost impossible to read. As a result, the small remote control supplied becomes practically unnecessary, if not to adjust the volume. The issue is by-passed with the Exogal App, as you can see in the picture, through which you can perform all the necessary tasks, and with a great look. How was the title of that movie? Ah, yes, "No Country for Old Men." But we are young (!) and we can go ahead. The DAC's back side is crowded with inputs and outputs, including the so-called Exonet, which will be used in case you will buy the Ion amplifier. Now let's see which digital signals can be sent to Comet: on their website you will find the complete chart, depending on the inputs and then we just give you the data of the USB port, the higher-performance one: 32-bit, 384 kHz and DSD 128. Enough, and even beyond the usual needs, then. turntable: Basis 2001, tonearm Graham 2.2, cartridge Lyra Kleos, phono preamplifier: Einstein "The Turntable's Choice", CD/SACD player: Yamaha CD-S3000, multimedia player: Oppo 105 D, preamplifier: MBL 4006, power amplifiers: Bryston 7B ST mono, loudspeakers: JBL 4350B, interconnect cables: MIT Oracle MA-X Proline, MIT Shotgun S2 RCA, Transparent Super XLR, Transparent Super RCA, Cammino PH B 2.2 Ref XLR phono cable, loudspeaker cables: MIT Magnum MA, Vovox Initio, USB cable: MIT SL-Matrix USB, power cables: MIT Shotgun AC 1, Black Noise Pearl and others DIY, mains distributor: Lector Edison 230/8, mains filter: Black Noise 2500. Let's start listening, using the Yamaha CD-S3000 as a driver, digitally connected to the Comet. We have a new arrival in our record club: Haydn - Symphony No. 82 & 83 - New York Philharmonic, conducted by Leonard Bernstein (Columbia CD). It's a 1965 recording, very well remastered in digital. The soundstage is very wide and extended beyond the speakers, which tend to disappear from the scene. Micro-dynamics is good, respectful of the pianissimos, that emerge from silence. I take the chance to strongly suggest these beautiful compositions of the Austrian musician. The Comet DAC, easily unveils the complex sound produced by the large full orchestra, never failing to follow the harmonic texture of each instrument, with a very interesting sensation of presence, never at the expense of the instruments position in the stage. Rather, it shows a sense of freshness in the reproduction that is certainly welcome. I change music genre and I step to the Italian pop with a beautiful CD: Lampo Viaggiatore by Ivano Fossati (Sony Music). The song "La Bottega di Filosofia" is a fast 4/4 tempo and a very complex arrangement, in which we have a chorus of female voices, to act as a counterpoint to Fossati, registered in counter phase, with the effect of placing the voices on the walls, almost at the listener's ears position, as long as the equipment that is playing this CD has enough quality to play it properly. The bass, a huge issue for low resolution digital, it's fast and dry, while the sound of the snare drum is quite sharp and almost free of the drum shell resonance, which is probably no deeper than 4 and with a "metal" sound. Good sign, when you are able to perceive these details. The voice of the singer and songwriter from Genoa is the one that you would expect from a high quality reproduction and fully remember when I heard it live at a Milan theater many years ago. In the song "Lampo", the cross-stick (when the stick hits the metal rim and not the skin of the drum) on the snare drum stands out for clarity and speed of rise times. Downloading the Windows 10 driver from the Exogal site, connecting the DAC output of my HP laptop and setting JRiver is as simple as drinking a glass of water. A flow to the tracks to try the various encoding resolutions ... and is music. A song by Ella & Louis at 384 KHz immediately puts at hard work our DAC but it's not a problem for it and we get an almost supernatural listening, equal to what we could get from an analog source of the highest class; I think about the best reel to reel, for example, because here we don't here the vinyl noises. The two "monsters" are followed by another great American musician, George Gershwin with his Rhapsody in Blue, another 384 Khz file. The sense of spaciousness of the orchestra is palpable and the clarity of the sound, which shows clearly every instrument, even during the most frantic movements, does justice to the very high resolution used to sample this recording (originally analog, judging by the master hiss). The piano sound is hypnotic. A Gregorian Chant from the Sampler of 2L in DXD highlights the silence of this DAC, as well as the air, the breath that characterizes the male voices in this recording. I decide to listen to "Big Band Bond", a recording by my friend Marco Lincetto's, world-renowned sound engineer, originally sampled at 24/96 KHz. I know very well the sound of this recording and I also heard the band while performing live with these same songs. Keeping in mind that this is a recording, no matter how well made, the voice of Fabiana Martone sounds extremely natural, much better than on the CD, with whom I did a quick comparison. Even the sense of realism of the orchestra parts is clearly higher than the 16/44 kHz version. The DSD version of Folsom Prison by Johnny Cash, transmits the same good analogue vibration which, in vinyl version, is in my record collection. It makes us forget the many messes that have been perpetrated in the CD remasterings, in the last 30 years. 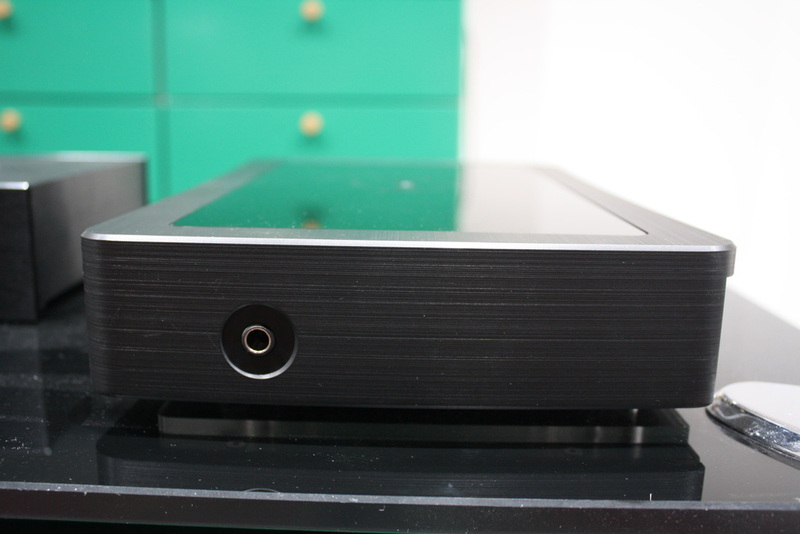 In conclusion, what about this little-great DAC? It sounds good, and I think it is clear in my listening impressions. It's technologically up to date, it's current decoding features are more advanced than the files we can find today on the market. 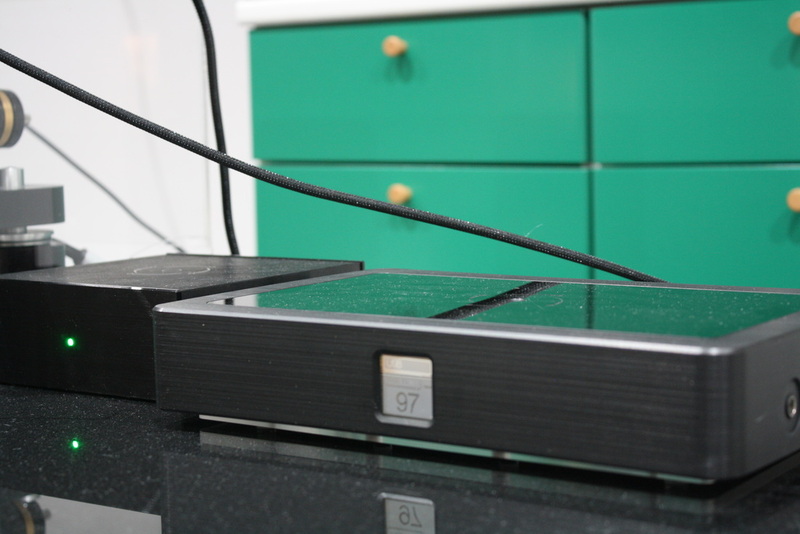 It has a headphone output, that can also be useful to those that don't use the headphones every day, to check the audio system or to go in search of details that the rest of the system or the environment may hide. The quality of the sound of a DAC, as you know, depends not only on the digital/analog decoding technology, which in this Comet is proprietary, but also on the output stages, power supply, etc. 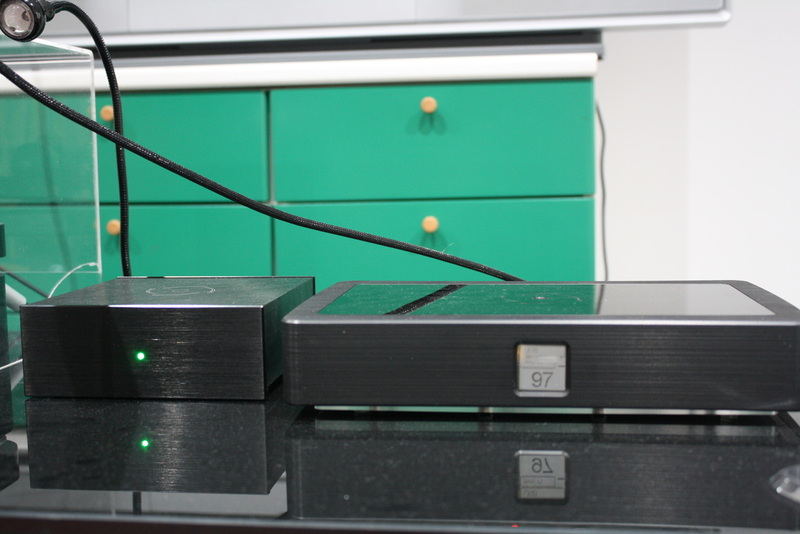 The sound of the Comet Plus reminds me, somehow, that of the old and celebrated Wadia, at a price that is not as high as luxury high end, but more affordable good quality audio equipment; it's an important thing in a market that seems to become really crazy. You know that I usually avoid direct comparisons with the competition, as I am convinced that the sound of each stuff can be more or less correct, depending on the other components of the system, and I often recommend the most suitable combinations to get a sound as balanced as possible. 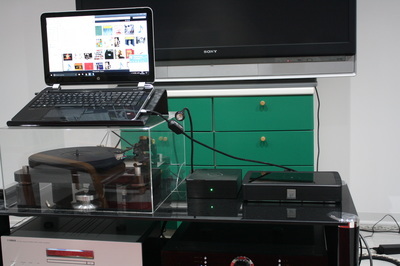 In this case I will make an exception to this rule and I compare the Comet with my reference player Yamaha CD-S3000. Very few sound differences between the two, almost inaudible. We are, in both cases, at very high levels, regardless of their price range. In this regard: we can say we are at the same price level: the Comet Plus costs 3,650 Euros, the Yamaha approximately 4,400 Euros. 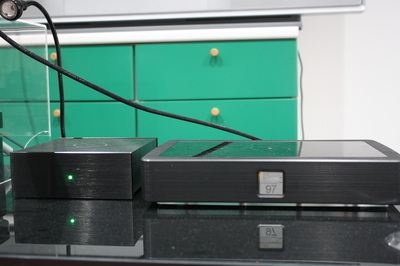 Practically, the sum of the DAC plus a drive. A careful listen to the Comet is highly recommended, it could be a pleasant surprise for many.